I have a desk that sits in our living room space. We mainly use it to sit down and send mail and letters off. We keep a stash of our favorite cards, address book and stamps. It's all there in one spot. We even keep a running list of who to send happy mail to. 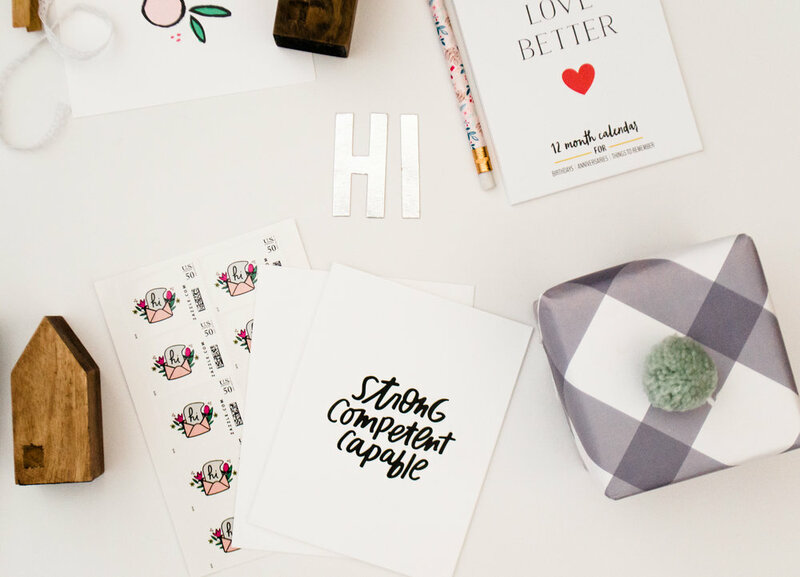 Keeping it all organized and handy helps us to send more cards of encouragement. Here's a few of our favorite products that will help you organize all your stationery accessories.. Address book from Rifle Paper Co. Putting pen to paper takes time, it slows us down enough to consider others. There's nothing like walking to the mailbox and finding a card filled with sweet sentiments meant just for you. So, who can you write to today? Who's on your mind and heart?